Includes 200 WELL AP flash cards. 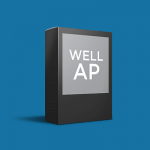 Our WELL AP Platinum Pack includes best-selling WELL AP Practice Tests, updated for the latest WELL content. In addition, our online WELL AP 5-Hour Crash Course will walk you through the core material covered on the exam. Review the flash cards either online or by printing to strengthen your memory of referenced standards, WELL definitions, and more! Whether you are a seasoned professional, a student, or new to sustainability, our WELL exam prep materials will guide you through the most current green building principles and practices. 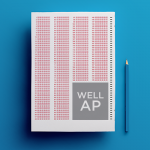 Save time and money – study once and pass the WELL AP Exam the first time! 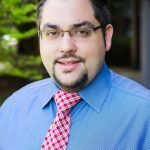 [testimonial_content] => "I would highly recommend obtaining exam preparation materials through GBES for anyone considering the WELL AP exam. The online practice tests were a fantastic resource for me, providing a bridge between the WELL Building Standard and specific areas of focus that would be helpful through the exam process. I successfully passed my exam on the first attempt and credit much of my success to the GBES materials. Thank you! " "I would highly recommend obtaining exam preparation materials through GBES for anyone considering the WELL AP exam. The online practice tests were a fantastic resource for me, providing a bridge between the WELL Building Standard and specific areas of focus that would be helpful through the exam process. I successfully passed my exam on the first attempt and credit much of my success to the GBES materials. Thank you! "